Journalists working at the Brighton Argus are to join colleagues working on sister Newsquest titles and strike over their continuing pay freeze and proposed job cuts. 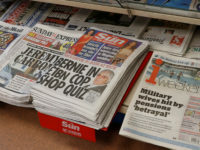 Members of the National Union of Journalists at the Argus voted for a 48-hour strike on Thursday and Friday next week, according to Brightonandhovenews.org. The strike vote follows union members deciding to ballot on possible industrial action at a chapel meeting to discuss management proposals to cut seven jobs and transfer the paper’s subbing operation to Southampton. That meeting was held on the car park of a local ASDA after the Argus banned chapel get-togethers on its premises. Like journalists at the Argus, colleagues already working for Newsquest in Southampton have grwon fed up with the company for which they work – NUJ members there have just completed the first of two 48-hour protests against a company pay freeze which has now lasted more two years. Despite a staff pay freeze being in place since July, 2008, the highest paid director of Newsquest – understood to be chief executive Paul Davidson – received a real terms pay rise of 21.5 per cent last year. 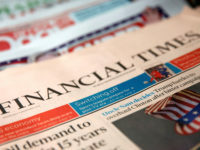 Those figures also revealed that operating profit for Gannett UK, which runs Newsquest, was reported to be £71.7m for 2009, compared with an operating loss of £462,000 in 2008. Despite this, Newsquest is in the midst of reducing benefits paid out to many staff by ending final salary pension payouts for existing members of the scheme.